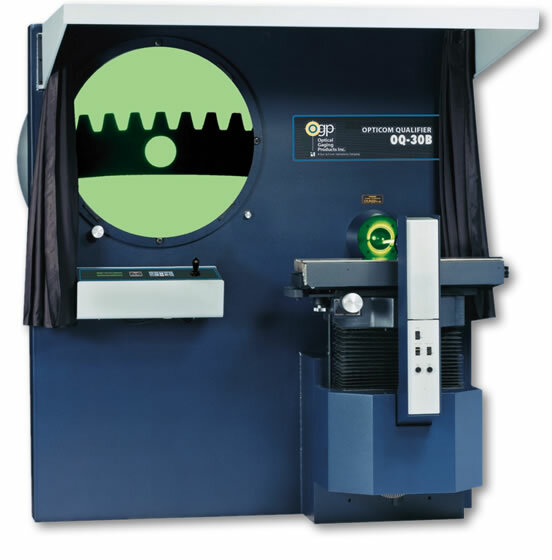 OQ-30B Contour Projector - CMM Inc. The OQ-30B™ Contour Projector® offers a precisely magnified image onto a viewing screen, where it can be measured or compared against a master template. The display is comprised of a sharp, clear image and well-defined part profile edge - minimizing eye fatigue and contributing to high productivity. The OQ-30B’s easy-to-reach control console is located directly beneath the screen, making it easy to manipulate the measuring stage while observing the part on-screen. Lastly, it also features a large 255 mm (10") constant working distance to measure the largest parts, even at high magnification. And its rigid construction allows the OQ-30B to withstand whatever your shop floor environment can dish out.